Why do I need Floor Protectors? 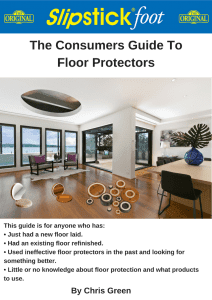 Which floor protectors are right for me? Frequently asked questions about floor protectors. How To Stop Your Furniture From Damaging Timber, Tile or Laminate Floors. Just had a new floor laid. Had an existing floor refinished. Used ineffective floor protectors in the past and looking for something better. Little or no knowledge about floor protectors and what products to use.